Looks we may have a new Korn album coming soon! Frontman Jonathan Davis, now on the road for his first solo album, Black Labyrinth, says guitarists Munky and Head are already writing material for a new Korn record. 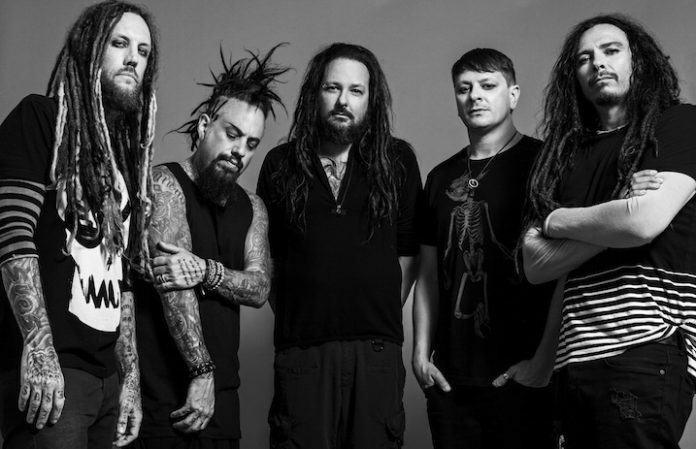 As revealed by the singer during a recent interview with Los Angeles rock radio station KLOS (via Metal Hammer), Davis confirms that the two Korn musicians have been collaborating with “different people” on new album tunes. And while Davis is out touring behind Black Labyrinth, along with Korn drummer Ray Luzier on the trap kit, Munky and Head will keep woodshedding the new Korn jams for the assembled band to complete later on this year. Korn released twelfth studio album The Serenity Of Suffering in late 2016, so a new full-length by early 2019 sounds just about right. Meanwhile, make sure you catch J.D. on tour at one of his many solo shows this summer. Black Labyrinth is out this Friday, May 25.